ExtensionsFrom design, planning or build, we have the know-how and professional tradesmen to manage every aspect of your project. MaintenanceWith more than 2,400 properties on our books, all your maintenance needs are in good hands with us. RefurbishmentAfter redeveloping properties for 25 years, we have the expertise to take on your refurbishment project from start to finish. OverseasWe offer a luxury-new build service in the Costa Blanca with our partners Villalux. Read on for more details. Home News Oh we do like to be beside the seaside! Overbury Property Group begins work on major new Broadstairs project! Oh we do like to be beside the seaside! Overbury Property Group begins work on major new Broadstairs project! It's a good job we like being by the seaside, as this major new project we've just started for the National Care Group is a stone's throw away from the beach! 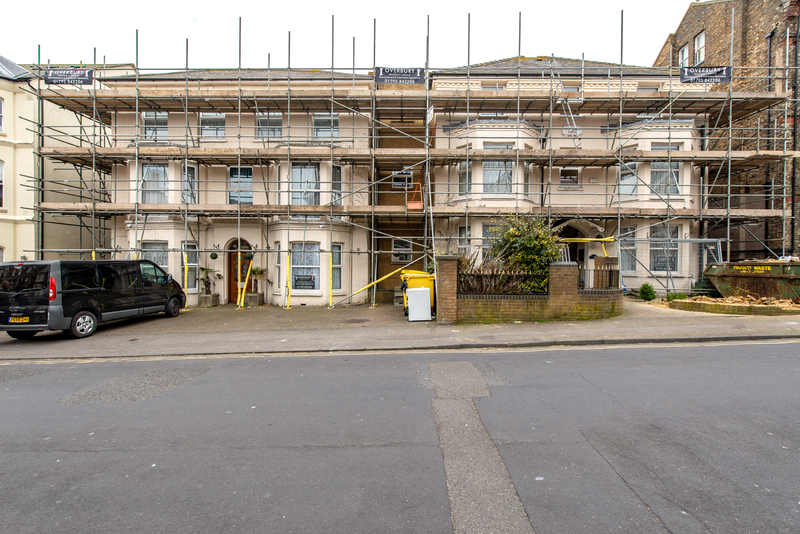 This 48-week project in Broadstairs will see us convert two buildings - currently a care home and assisted living accommodation - into a four-bedroom flat, five three-bedroom flats and a six bedroom living accommodation. When finished, it will house 25 residents, each with their own ensuite. We have just got going on phase one of three phases and will update as we progress! Come and say ‘hello’ to us at our new stand! Overbury Property Group – Motoring On! The Overbury Property Group is a one stop, full service company operating throughout Kent and the South East. We also have an overseas luxury villa arm. Get in touch to talk about your ideas or requirements today.